Leading undergraduate school students, I instructed the research on Primate morphological diversity in Thailand. At first, we held symposium on biodiversity, ecology, and natural history of wildlife in Thailand, in which I presented “distribution and morphological characteristics of macaques in Thailand”. Students took the symposium which was given in English and positively participated in discussion. 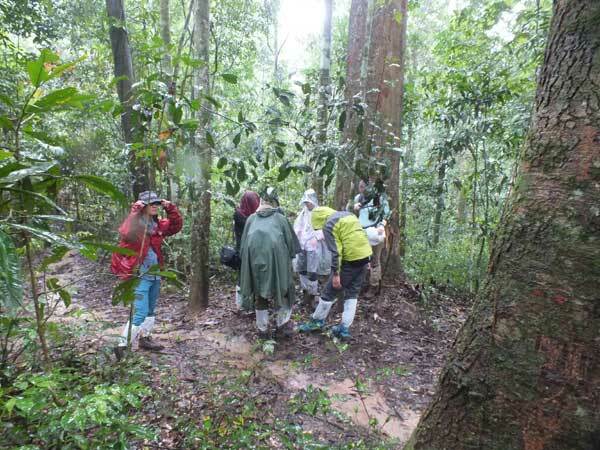 We made filed survey on long tail (Macaca fascicularis), northern pigtail (M. leonina), stump tail macaques (M. arctoides) and white-handed gibbon (Hylobates lar). We compared the body size and proportion, pelage color and hair pattern, feeding behavior, locomotor behavior, and life substrate (arboreality and terrestriality). 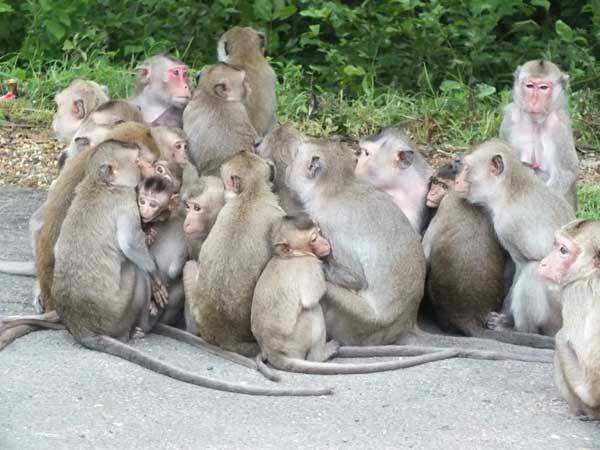 We could observe such interesting behavior as “tight aggregation of monkeys” in long-tails and big beans feeding in northern pigtails. Habitat condition and the conservational parameters were also compared between subject primate population; long-tailed macaque population inhabits Don Phou Chao, forest patch left intact amongst human settlements in north-eastern Thailand (Amnat Charoen Province, Phana District) are heavily dependent on provisioning; stump-tailed macaque population inhabits non-hunting area and vicinity (Petchaburi Province, Tha Yang District) where they raid crops and human-monkey conflict has become severe and four individuals were shot dead last year; and northern pigtail macaque and white-handed gibbon population inhabits Khao Yai National Park (Nakhon Ratchashima and Sarabui Provinces) where wildlife is strictly conserved. Subject long-tail and stump tail populations are more or less isolated from conspecific populations, which would be reflected by the variability in morphological traits. 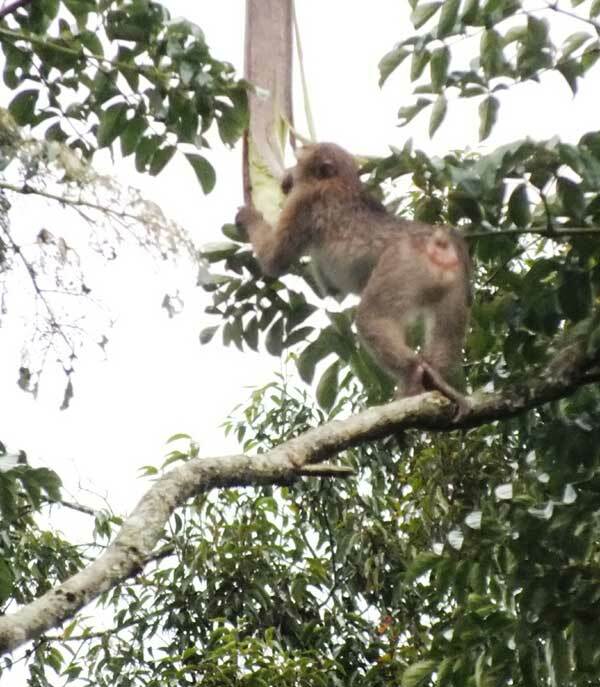 Cultural, economical and political conditions on primate populations are discussed to consider measures to be taken for conservation of non-human primates.